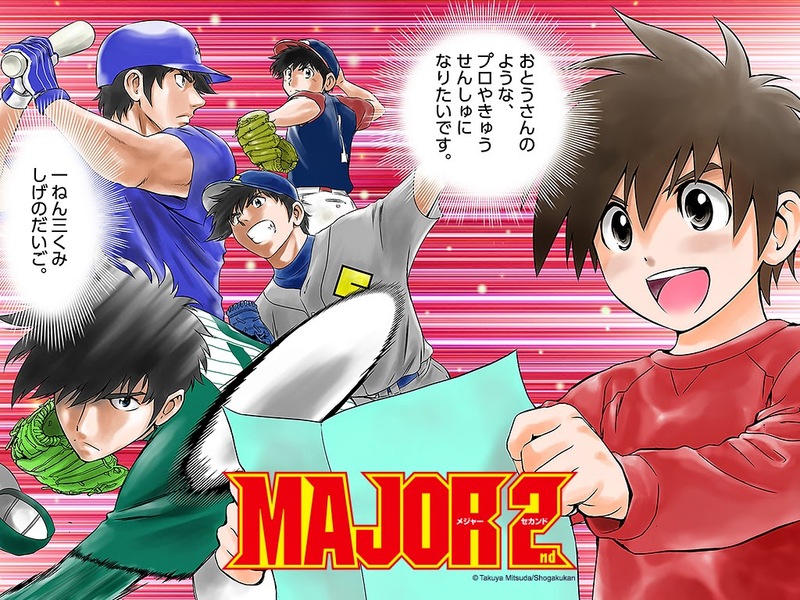 Major 2nd is the sequel to the hugely popular series Major, which ran from 1994 to 2010. Major 2nd began in Weekly Shonen Sunday #15 by the original creator of the series, Takuya Mitsuda. Major followed Goro from his early days as a baseball pitcher in the Little Leagues to a professional player in the Majors. In Major 2nd we meet Goro's son, Daigo. Will Diago follow his father and grandfathers footstep as a baseball player? Will he play in the Majors and even surpass his father? Major was an incredible series with fans worldwide. Can Mitsuda reproduce his past success? We just have to wait and see.